Chris Griffiths is Director of the Manchester Centre for Dermatology Research and Head of the Dermatology Theme of the National Institute for Health Research (NIHR) Manchester Biomedical Research Centre. He gained a 1st Class Hons BSc in Anatomy from St Thomas’ Hospital Medical School, London in 1976 and qualified in Medicine MB BS in 1979. Following junior hospital posts in South London he trained in Dermatology at St Mary’s Hospital, London (1983-87) where he was a Wellcome Trust Clinical Research Training Fellow (1985-87). In 1987 he took up a research fellowship in Dermatology at the University of Michigan, USA, and was appointed to Assistant Professorship on Faculty 1989-93. 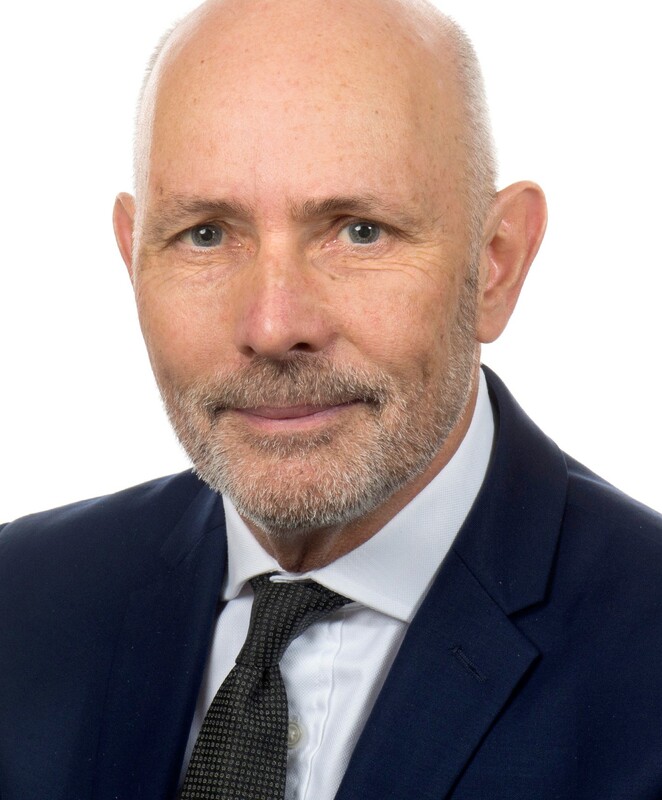 He was appointed to the Foundation Chair in Dermatology at the University of Manchester in 1994 and is an Honorary Consultant Dermatologist at Salford Royal NHS Foundation Trust. He founded the Manchester Dermatopharmacology Unit and the Manchester Psoriasis Service in 1994. At the University of Manchester he has held several senior posts including Head of School of Translational Medicine, Faculty Research Dean and Director of the Manchester Academic Health Science Centre. He currently leads for precision medicine in the UK Government’s Greater Manchester Devolution initiative. Chris received a lifetime achievement award from the American Skin Association in 2009. In 2015 he received the Sir Archibald Gray Medal for outstanding service to British Dermatology and the Society of Cosmetic Scientists Medal and in 2018 was made a Pro Meritis laureate of the European Dermatology Forum. He is a NIHR Senior Investigator, Fellow of the Academy of Medical Sciences and an elected Member of Academia Europaea. Chris was appointed an Officer of the Order of the British Empire (OBE), for services to dermatology, in the Queen’s 2018 New Year’s Honours. Professor Griffiths is past-President of the British Association of Dermatologists, European Dermatology Forum, British Society for Investigative Dermatology and International Psoriasis Council (which he co-founded in 2004). He is an Executive Board member of the International League of Dermatological Societies, Chair of the Scientific Programme Committee for the World Congress of Dermatology 2019 and Secretary/Treasurer of the European Society for Dermatological Research. Chris is Director of the UK Medical Research Council funded stratified medicine consortium on psoriasis (Psoriasis Stratification to Optimise Relevant Therapy; PSORT) and Chief Investigator of the British Association of Dermatologists Biologic Interventions Register (BADBIR). He has published 604 Pubmed cited articles in scientific journals (h-index 90), and is Editor-in-Chief of Rook’s Textbook of Dermatology. Chris has long-standing research interests in all aspects of psoriasis and skin ageing. He is credited with helping to develop the concept that psoriasis is an immune-mediated disease which has led to the development of targeted, life-transforming, biologic drugs for the disease. He was part of the team in Michigan that demonstrated that topical retinoids are efficacious in the management of ageing skin and has used this knowledge to found a spinout company “CGSkin”. Chris has a particular interest in the intersection of arts and medicine to which end he founded a visual literacy course for dermatology trainees in 2016. Ultrastructural characterisation of fibrillin microfibrils from photoaged and all-trans retinoic acid-treated skin.